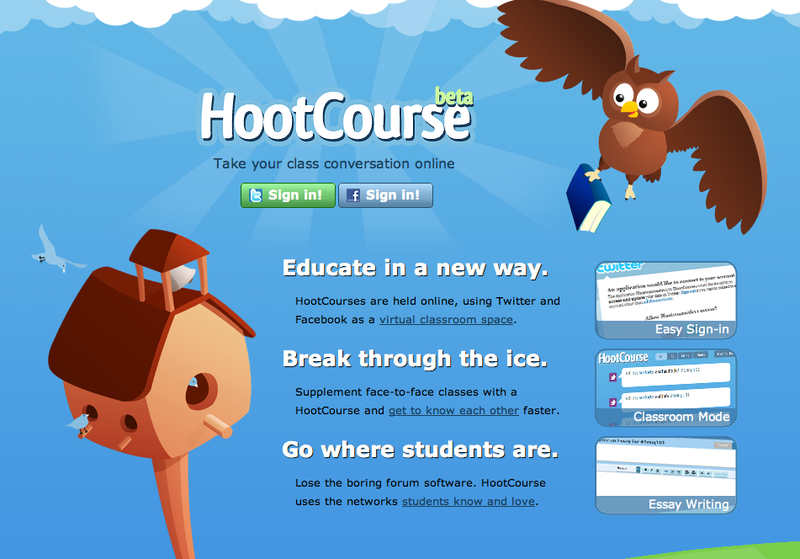 So this new HootCourse tool seems to work vey well! 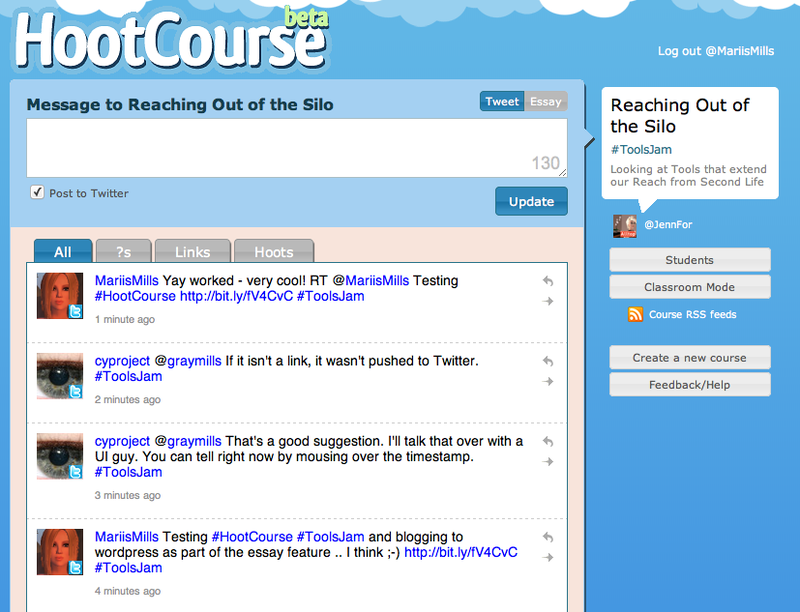 I tested via a “course” called “ToolsJam” – as I understand it, courses are simply akin to hashtags, but you can make them both private and public. 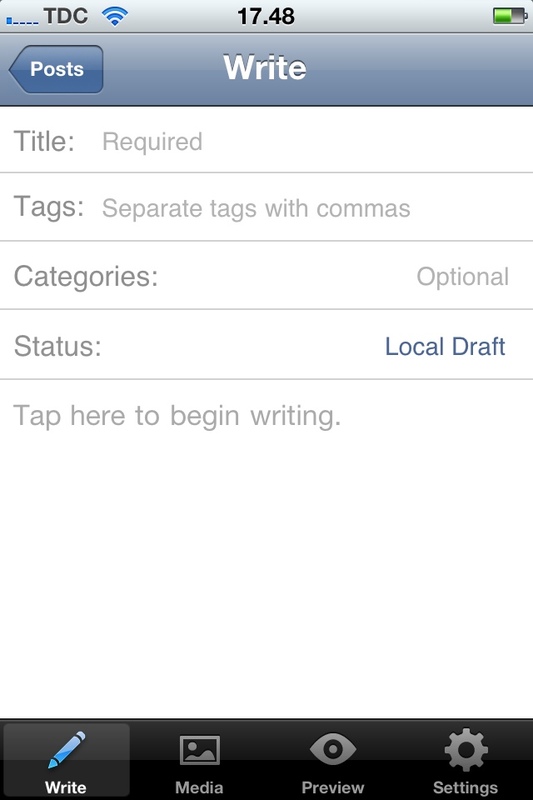 If you need more than 140 characters Blogger, Xanga, Posterous are also part of the toolbox. And I am trying to include a screenshot of the app! ?